Helmut Started his carrier in 1969 when he was hired by AGM Plastics in Linz, Austria. He started as a process technician trainee. He spent 4 years setting up extrusion lines across Europe and also set up 2 Hegler corrugators for electric conduit. In 1970 Cincinnati Milacron bought AGM of Linz, Austria and transferred Helmut to Cincinnati, Ohio where he worked as a extrusion service technician. He set up PVC pipe lines till his departure in late 1973. In 1974 Helmut started to work for Robintech Inc. as national extrusion technician manager. This included all 19 plants that Robintech had. In 1976 CertainTeed Daymond Corp. hired Helmut as national production manager. 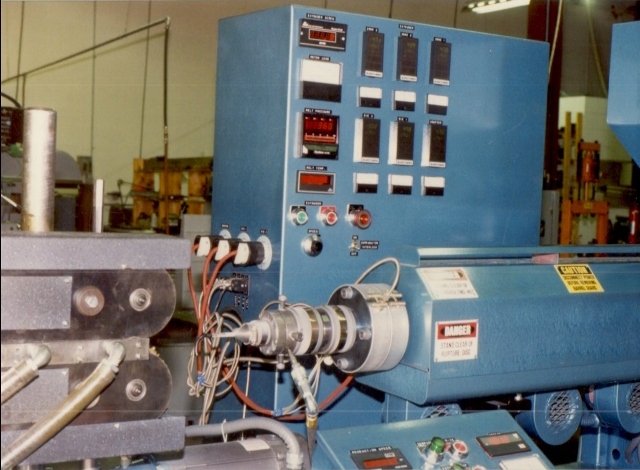 Helmut was responsible for 4 plants each having 2 hegler corrugator machines in each plant producing PVC and PE pipe ranging from 3" up to 8" corrugated drainage pipe. Helmut left the company in 1979.
helmut left CertainTeed Daymond to buy stock into a local company that produced drainage pipe. Helmut helped in building the company and doubling its output. Helmut was with the company till the fall of 1980 when he sold back his shares. In the spring of 1981 Helmut formed CME Plastics Inc. and started on his own and was providing consulting and engineering services to the corrugated industry. In the fall of 1981 Helmut caught the attention of a Canadian corrugator manufacturer which offered him a job. In 1982 Helmut started working full time for the Canadian corrugator manufacturer. Helmut was traveling all over the world setting up corrugating machines and servicing existing lines with problems. Helmut became there lead service technician and helped the company grow. After traveling for 6 yrs. Helmut decided to leave and put full attention on CME Plastics. Helmut was back at his own company CME Plastics. Helmut Designed and built a small vertical corrugator that was compact and low maintenance. Helmut also design and built other downstream equipment and machinery. In 1990 Helmut's former employer from Canada offered to buy CME Plastics assets and offered for Helmut to operate a small manufacturing shop in Ann Arbor, Michigan in there name. Helmut did this for 10 years and was a great asset to the company. In 2000 Helmut left the Canadian corrugator manufacture to focus on CME Plastics with his son Helmut Jr.